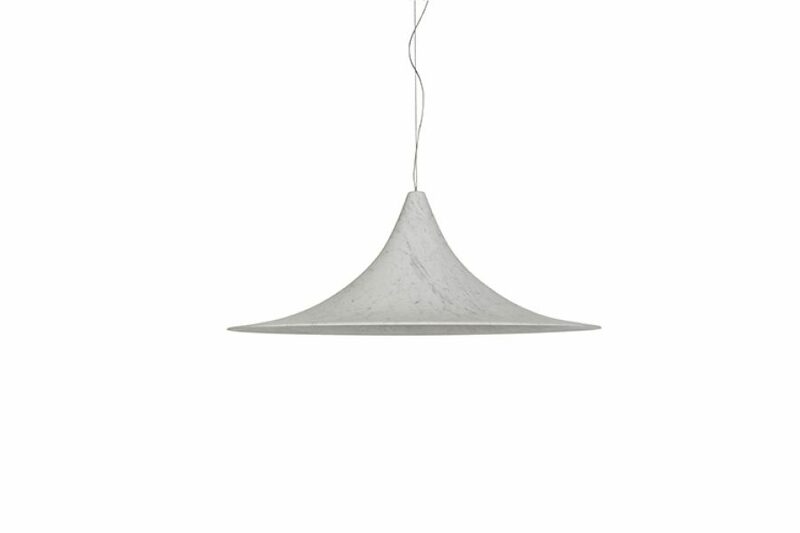 Supernova is an iconic lampshade reinterpreted in a thin layer of Carrara marble and available in two distinct versions. 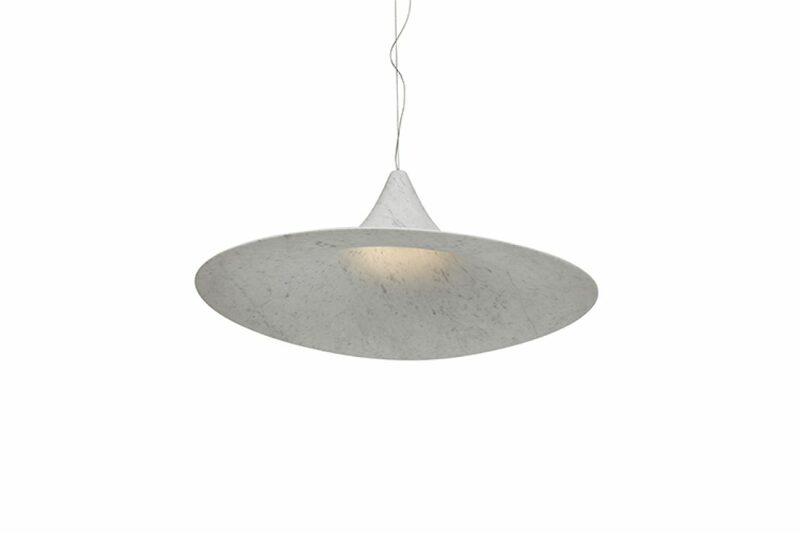 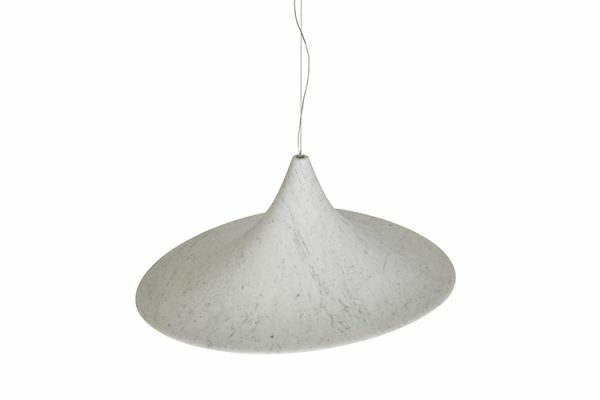 An extremely light marble shade was created, calculated using a complex ‘centre of gravity’ algorithm to give magical balance. 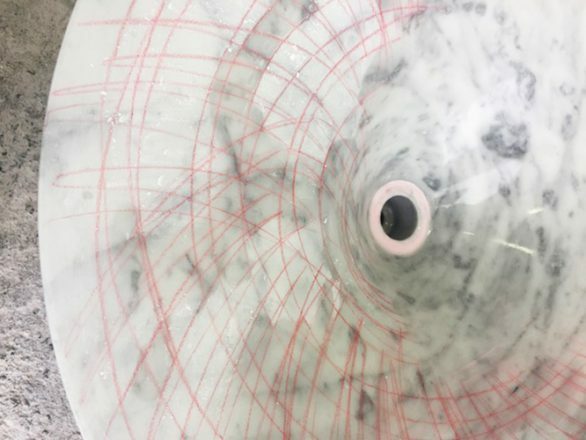 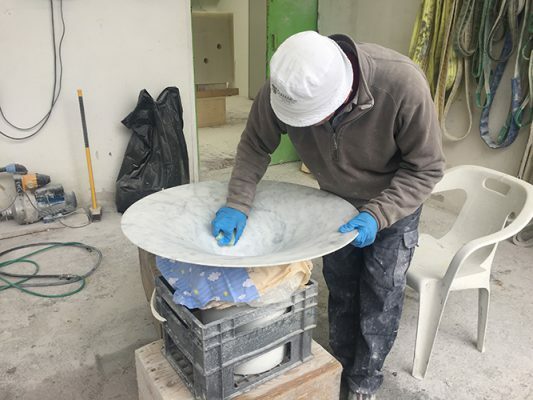 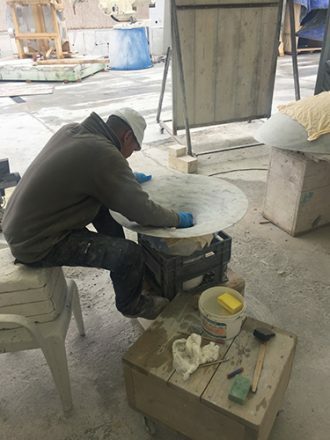 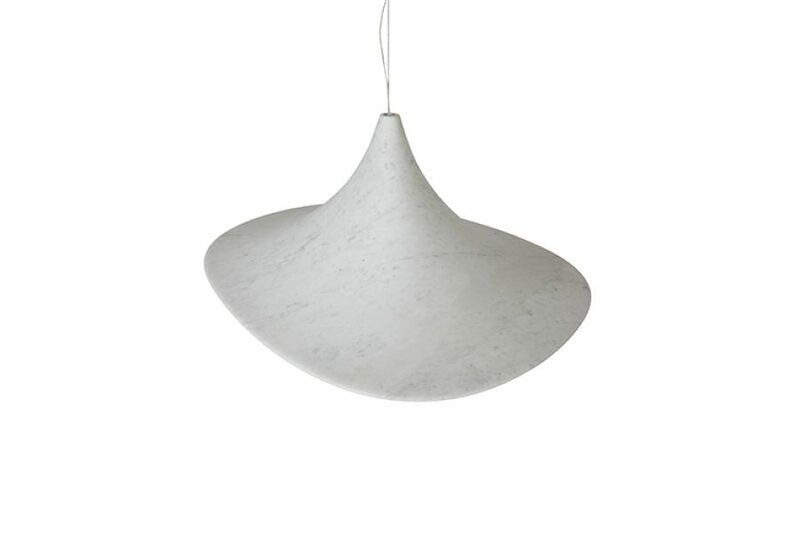 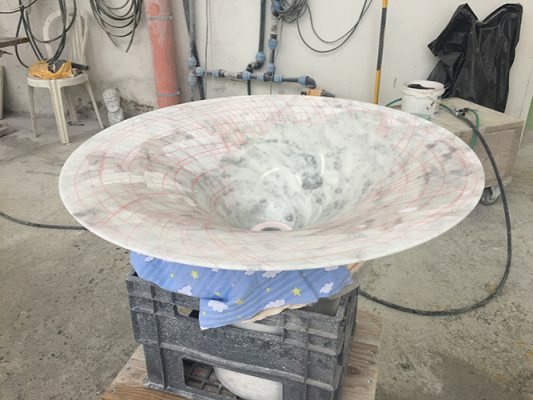 Thanks to a new generation of sculptors and advanced robotic milling, it has been possible to create such a thin item and achieve this unique flying marble shade. It feels natural to use the peculiar quality of the Carrara white marble: Carrara marble is characterized by its smooth and compact nature, ideal for this challenging realization.